Home » Android , Hacking. 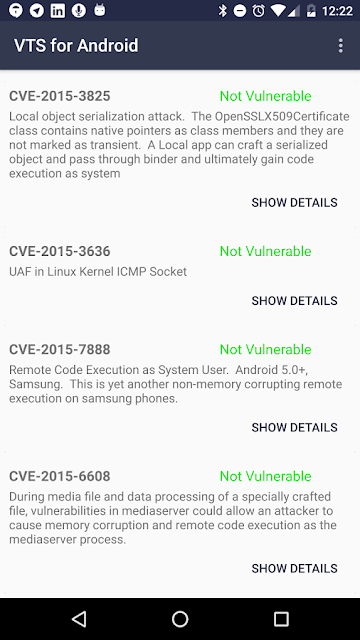 » Find out How Secure is your Android with this Amazing App. Find out How Secure is your Android with this Amazing App. There are lots of bugs in every android device. Every time you visit a website,open an App, send emails some spy app might be watching you! Even there are Virus out there which can Control your camera and capture every moment while your phone is on. But we can find out now what are those bugs which might cause problems in the future. 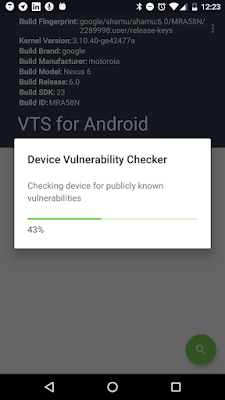 "VTS for Android" is an amazing tool to identify potential threat from your smartphone. It can identify major vulnerabilities. It's an app which shows what your paid antivirus don't! 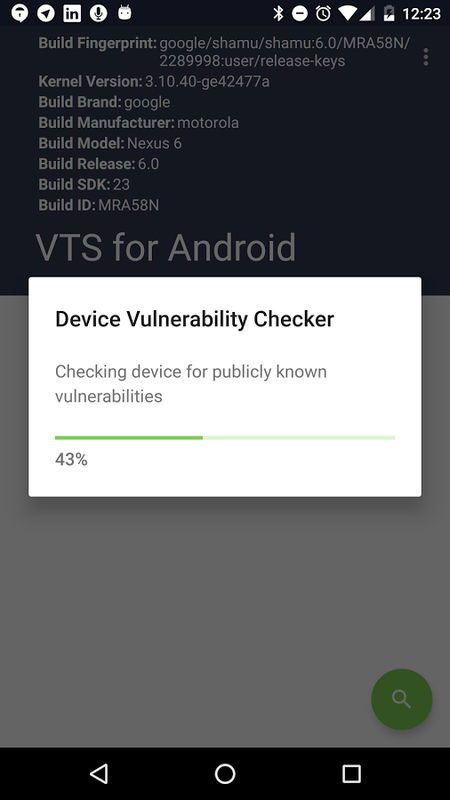 VTS helps assess how your device and Android OS version are doing from a vulnerability perspective. Every time when Google creates a new patch,not all smartphone menufecturer focus on it.so it's our responsibility to stay pro. active. if VTS find any vulnerability just search the code name in google and you can easly resolve it.